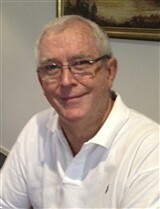 With a master’s degree in commercial law from Deakin University, a Bachelor of Laws from the University of Melbourne and more than 40 years of experience as a practicing lawyer, Mr. O’Donnell has utilized his knowledge to publish his works and develop ideas for new stories. To date, he has published two books, and hopes to publish three or four more. When Mr. O’Donnell is not creating plots for new stories, he is often writing articles for a newspaper and catching up with friends.